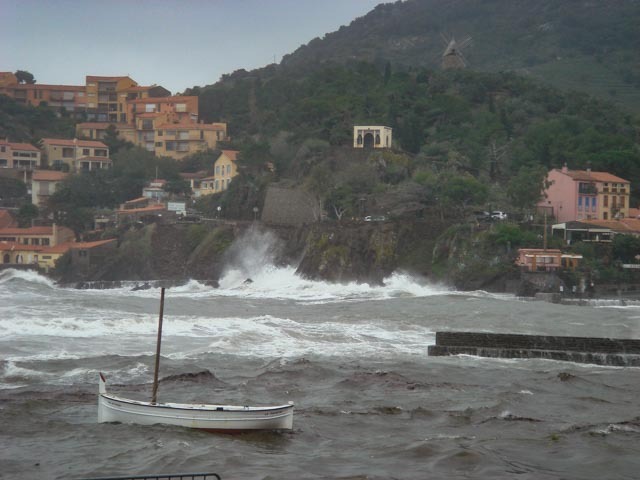 AIGUAT (prounounced aïgooat) is a Catalan word with no single word equivalent in English or French meaning exceptional rainfall and flooding combined. The P-O might not suffer terrifying hurricanes, like those in the USA and Caribbean, but its weather can still be dramatic, frightening and destructive. Like other Mediterranean regions, our long dry summers are usually followed by a wet autumn. When warm, humid air from the Med meets cold air that’s come down from Greenland, very unstable clouds develop and deliver on average 30%-40% of our annual rainfall in just three months (September, October, November). The real problem comes when there’s little wind to move those clouds on. Things start to get hairy when 200mm or more falls over a 24-hour period – something that happens once every 5-10 years in the P-O, according to Metéo France. Much more than this, and catastrophic floods can result. Records of the River Tech’s regular floods date back to 1421. Over the centuries, many have been especially bad. In 1876, for example, between 17th and 20th October, houses were demolished, railway bridges destroyed, road bridges badly damaged, and two people drowned. Sixty-four years later – bizarrely, over exactly the same period – the region experienced the most devastating and record-breaking aiguat of them all. It was 1940. 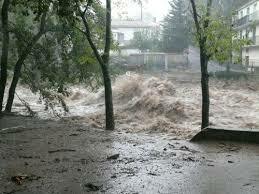 Over five days, from 16th October, nearly 2,000mm of rain fell on the Canigou mountain range. Around 1000mm of this came down in just 24 hours, mostly on the south side. Never before had all the rivers of the PO, Aude and Catalonia flooded at the same time. Witnesses said the Têt and Tech ran brown, black, sometimes reddish. Added to this, the smell of sulphur made some people think the water came from hell. On October 17th l’Indépendant ran the headline (referring to Vernet-les-Bains): “Hier Paradis des Pyrénées, évoque aujourd’hui un chaptire de l’enfer de Danté”. Paradise in the Pyrenees yesterday, Dante’s Inferno today. Vernet was on Canigou’s north side, but the Tech valley on the south side fared worse. Hardest hit were Amélie-les-Bains (58 buildings flooded, 40 houses destroyed and 23 people dead), Prats-de-Mollo, Banat and Arles-sur-Tech. Roads were impassable, buried under 1m of rocks and stones. Down on the plain, thousands of hectares of fields, orchards and vineyards were drowned under 1-1.5m of water. 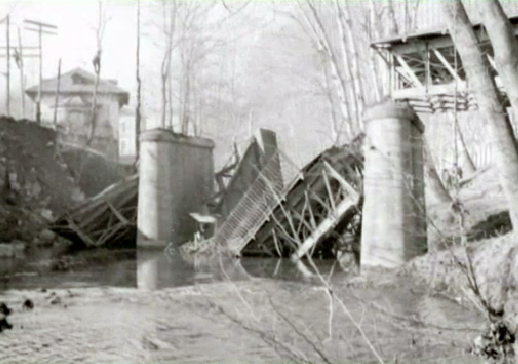 At Elne a railway bridge was destroyed. Here, the Tech, at its peak, was estimated to be flowing at 3,500 cubic metres per second! We can only guess the devastation caused to plant and animal life. Over ten thousand trees alone were uprooted. The total human death toll in the PO was 48 – all in the Tech Valley – and hundreds lost their homes. Spare a thought for those across the border, though. In Catalonia 320 died and thousands were left homeless. It’s said there was the smell of death in valleys once rich and prosperous. After the waters receded, in places like St-Laurent de Cerdagne, which had experienced the highest rainfall, you could stand next to telegraph poles and touch the top, or sit on the edge of house roofs, with your feet touching the ground. This was wartime, and the scene and response to it resembled the aftermath of a bombing raid. Many flood defences were put in place after that. At some point in the future they are likely to face another serious test. But these days there are more stringent warning, safety measures and evacuation procedures in place too. Destruction can be very limited, according to where the rainfall is most intense. The most damaging localised aiguat in recent years came in 2011, from a small river that rises in the Albères and runs through Sorède. This amazing video, compiled by Denis Spiral, shows the Vallée Heureuse like you’ve never seen it before. At least six streams course down the flanks of Pic Néoulous and feed into the River Tassio, which in turn flows down the Vallée Heureuse, across two dams, and through Sorède. By November 21st that year, four days of steady rain had already left the ground saturated, when a massive storm kicked off with a bone-rattling thunderclap at 9.30am, directly above Néoulous. For the next seven hours the rain was torrential, relentless. The Tassio quickly turned into a raging brown torrent and by lunchtime had cut the valley off from the village. 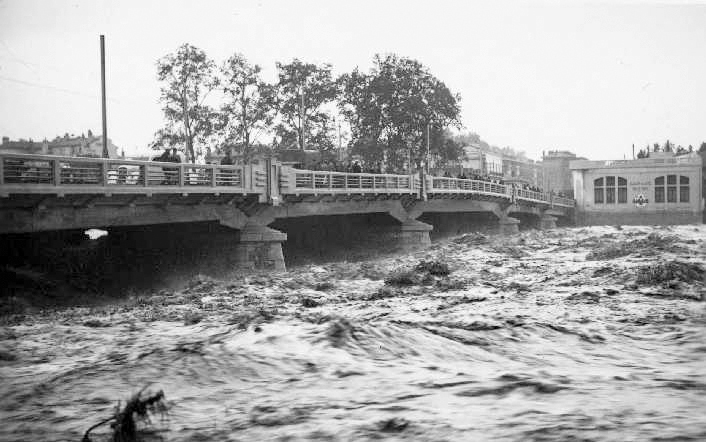 A swirling mass of boulders, stones and tree trunks gradually blocked a bend in the river until finally something gave way and debris-filled water surged, tsunami-like, down the valley, taking everything in its path, including parts of roads, bridge railings and a 100-year-old concrete footbridge. It blew in the windows of a ground floor bedroom, swept away a garage, filled swimming pools with silt and rocks. Luckily, no one was injured, despite some people watching from positions dangerously close to this terrifying natural event – this aiguat. There can be risks at the coast as well. 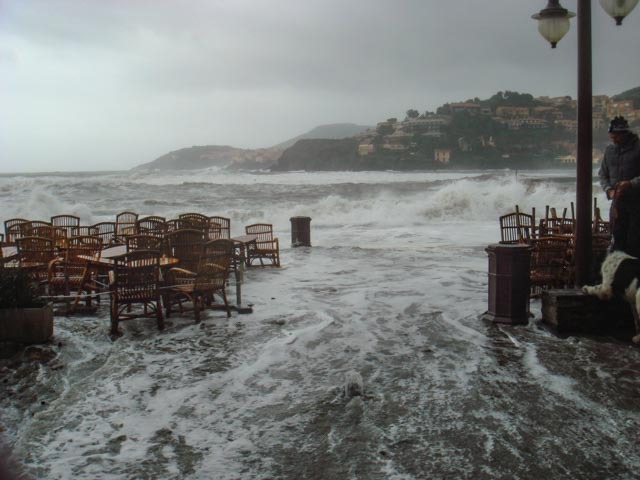 Although the Med isn’t tidal, gales or a drop in atmospheric pressure can cause sea levels to rise in spectacular fashion. Pick a seat for your coffee and croissant! With the return of benign, clear skies, the violence of autumn storms can be hard to imagine if not experienced first hand. Winters can be dry by comparison. 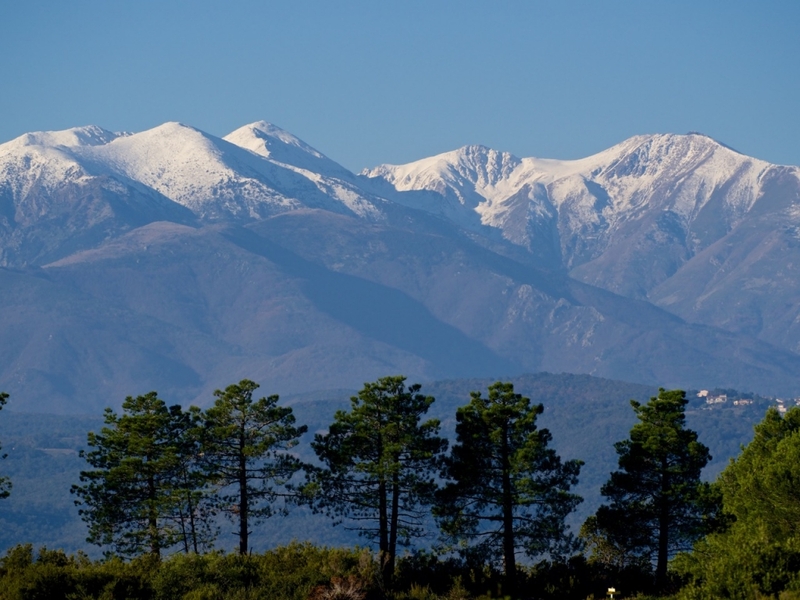 Come December, if there’s a cold snap, any rain turns to snow on the high slopes – often the first to stick on Canigou. But the weather changes fast here and you can never be sure when or where the aiguat may strike next.